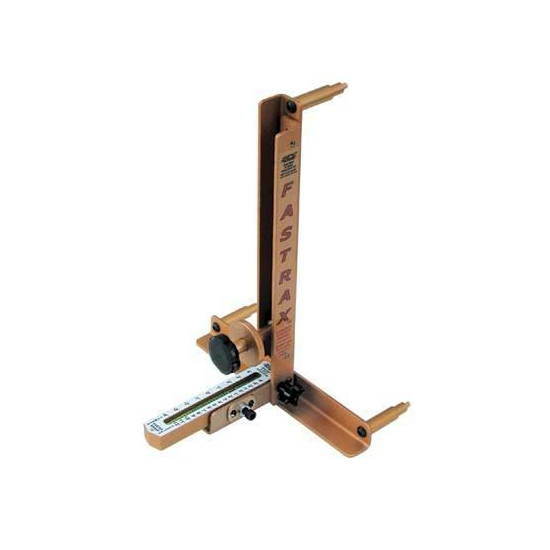 Another tool you need and didn’t know about. 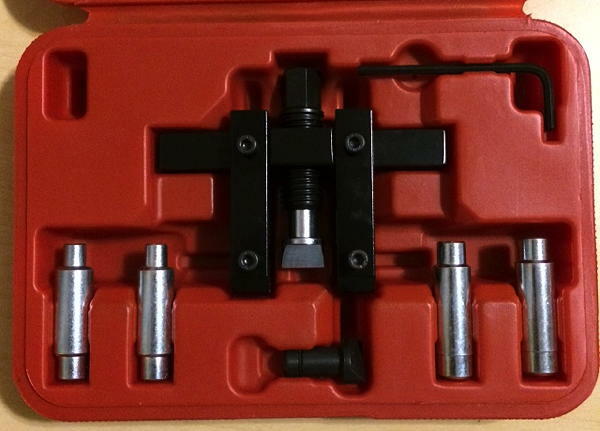 If you keep messing with suspension set-ups like I do, then you need this camber gauge by SPC. 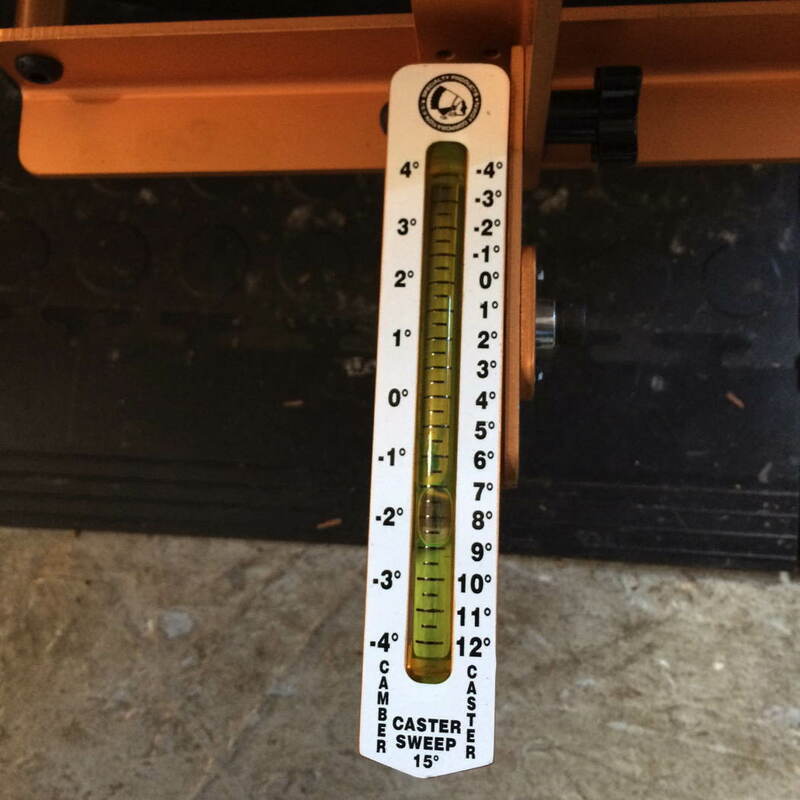 The FASTRAX™ Hands Free Adjustable Camber/Caster Gauge comes in two models: the 91010 which fits wheels 17-22 inches in diameter; and the model 91000 which is for wheels 13-17 inches in diameter. I like this gauge because it’s easy to use following the instructions included in the box and has several additional optional components like wings so you can set toe, and adapters for wheels without lips. The gauge comes preset for level ground from the factory. 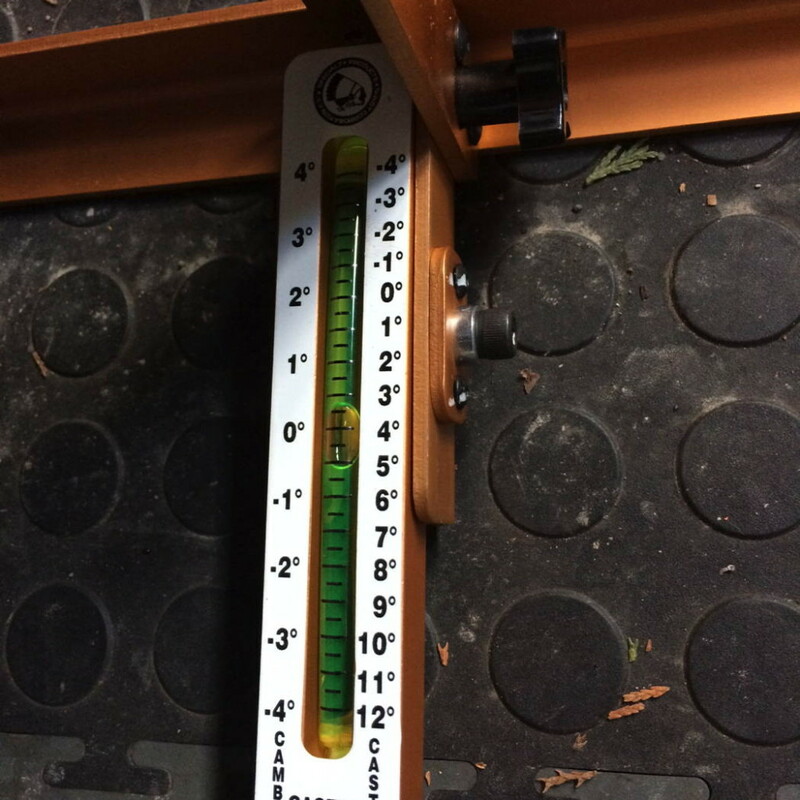 The level can be adjusted to account for unlevel ground, or just measure the ground and compensate when you set the camber. 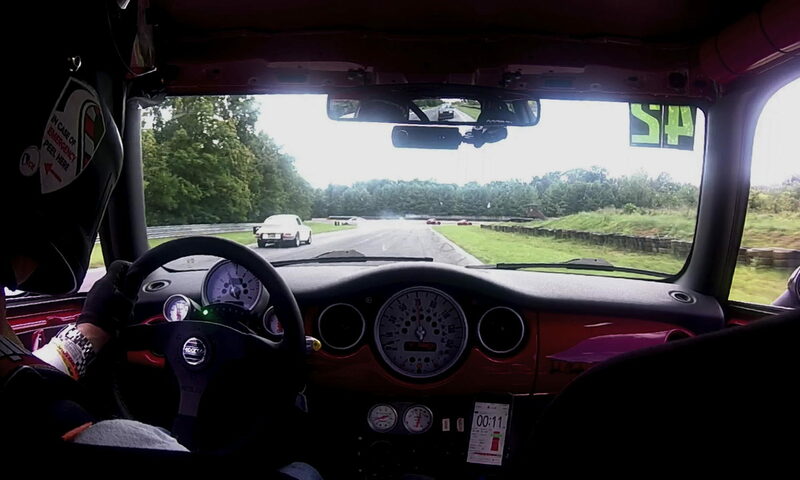 In this example, I’m actually using the model 91010 on 16 inch wheels. The left side of our garage was almost level — only 0.25 degrees off, so we just added that to our target camber setting. 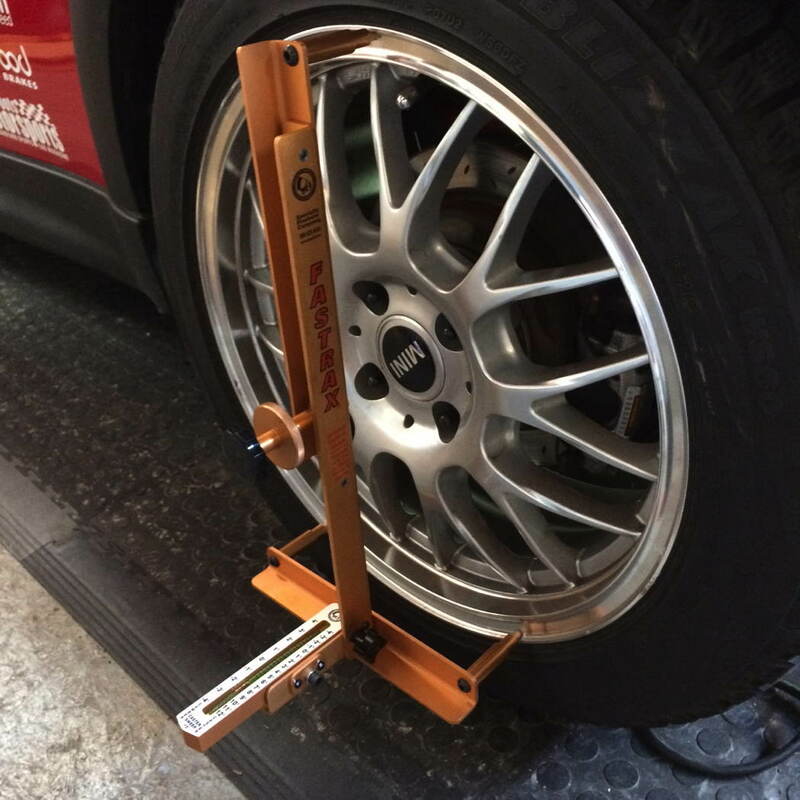 We lengthened the control arm until the gauge showed 2.0 degrees of negative camber. Subtract the 0.25 error and you get the final camber of 1.75 degrees negative. If you’re planning on replacing a front strut on certain Audis, BMWs, or VWs, you need this tool. It’s great for cars where the base of the front strut is held in the steering knuckle by a pinch-bolt (and, in most cases it seems, rust and years of grime.) If there’s room to get a screw-driver into the slot to pry, then this will work better (sorry MINI.) If you’ve ever struggled to free one with PB-blaster, a large screw-driver, and will-power, you’ve inevitably thought, there must be a tool for this. Well there is and it will cost you $69.95 which may be the tool-bargain of the century. It’s from SPC Performance and it’s part number 37980. Watch this video by SPC to see how it’s used. I found this tool the other day on iTunes of all places and I thought it was very cool. It’s called PICgauge. It’s an app for iOS devices (5.1 or higher) that lets you gauge belt wear on your engine’s serpentine belt without removing it from the car. 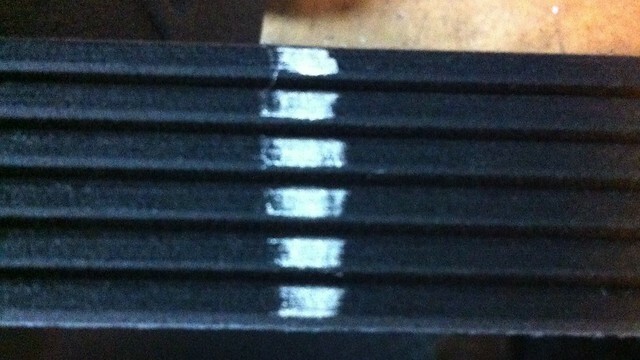 As the belt wears the gaps get deeper and wider so the ribs get smaller relative to each other. Eventually the belt starts to ride only on the ribs and may start to slip. The measurement process is very simple: Grab a silver or white Sharpie and draw a line across the ribs of your belt and take a picture of it with your iPhone without using the flash. Open the picture in the PICgauge app. 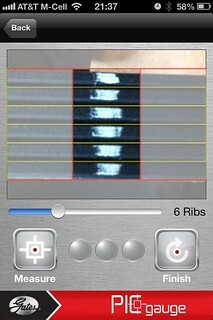 Tell the app how many ribs your belt has and use two fingers to resize the photo to fit between the lines. Mash the “measure” button and you’re done. The app finds the boundaries of each rib, measures them relative to each other and tells you if you’re OK, marginal, or kaput. Pretty cool.